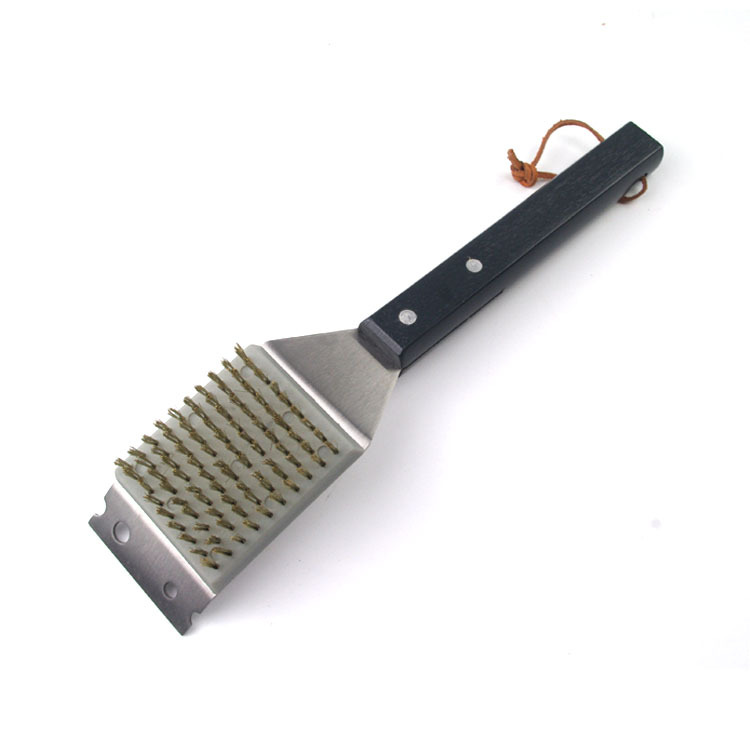 Our wood Grill Cleaning Brush is designed with quality acacia wood and makes a great addition to your BBQ Tools. 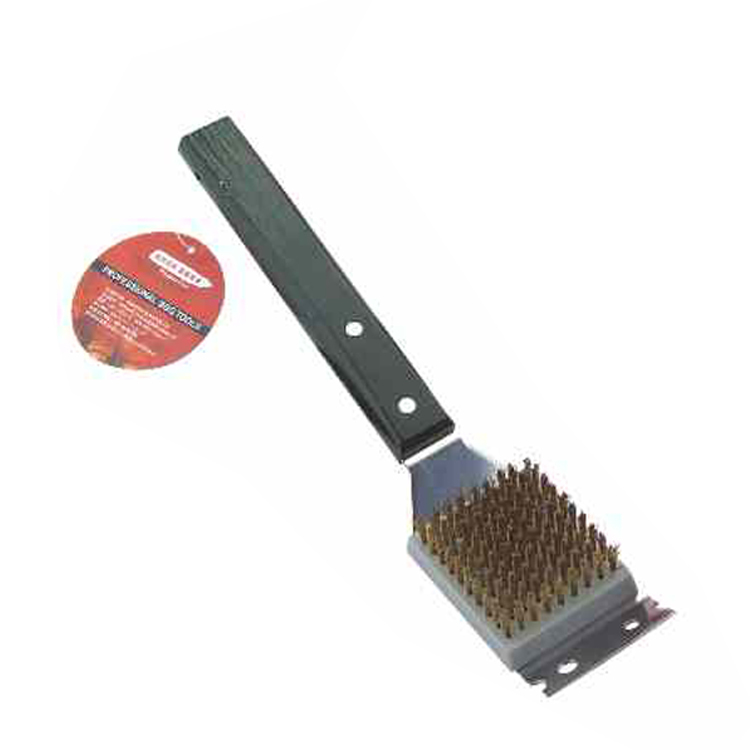 From the ergonomic wooden handle to the sleek stainless steel bristles, our Bbq Brush works every angle.Don`t mess around with any other char broil grill brush with messy and weak wire handles, it`s time to upgrade to a premium looking and performing bbq grill brush.The easiest and best size for your stainless steel grill bush and scraper. Allows the use of both hands with minimal effort. It also keeps your hands from getting singed from the heat. Shorter grill brushes take way too much effort and longer brushes are too awkward. 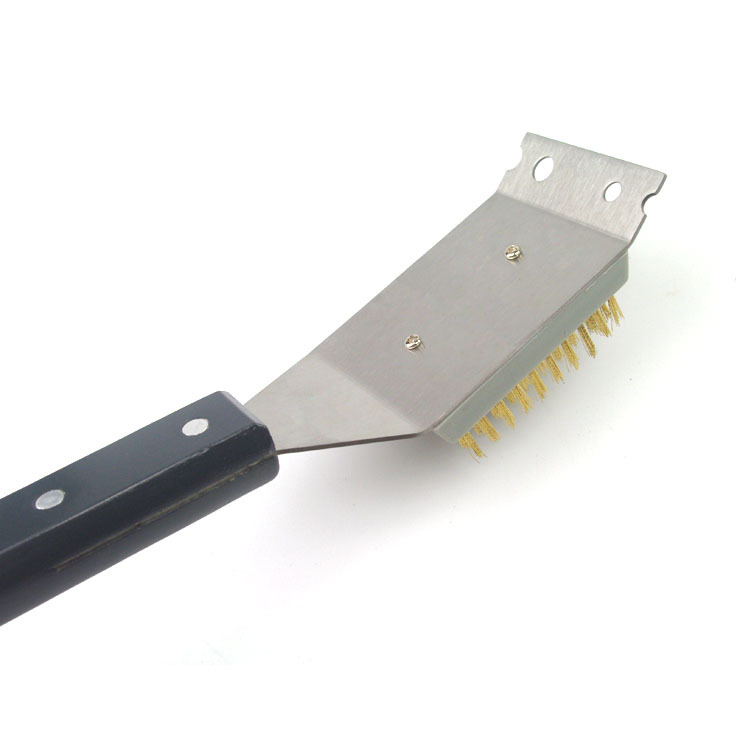 Looking for ideal High Quality Bbq Cleaning Brush Manufacturer & supplier ? We have a wide selection at great prices to help you get creative. All the Wooden Handle Bbq Cleaning Brush are quality guaranteed. 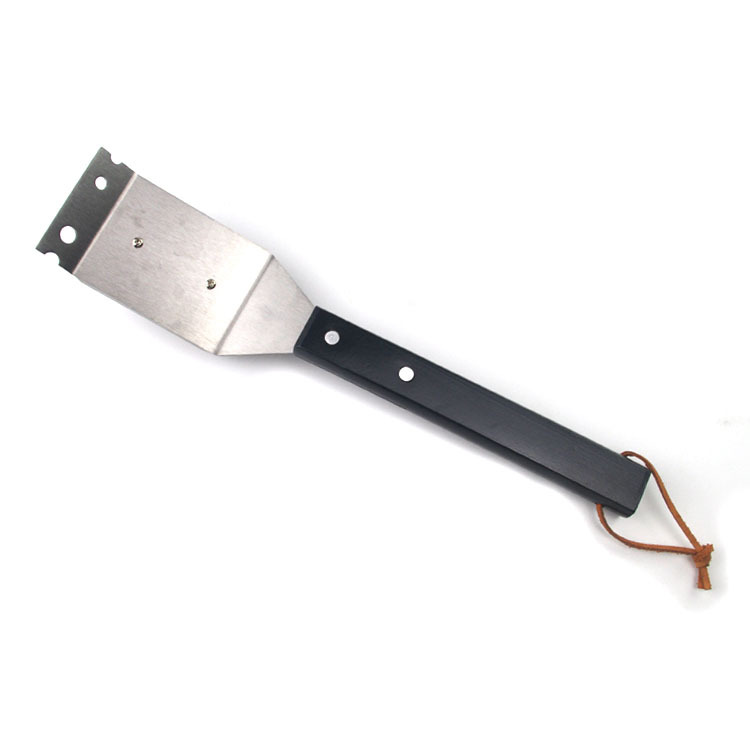 We are China Origin Factory of Bbq Grill Cleaning Brush. If you have any question, please feel free to contact us.